33-year-old Qasar Younis, a Lala Moosa born Harvard-educated Pakistani-American, is the new Chief Operating Officer of Y-Combinator, a spawning ground for emerging tech giants Dropbox, Airbnb, and Stripe in Silicon Valley, according to Fortune Magazine. Younis was born on a farm in Lal Moosa, Gujarat, Pakistan. He was brought by his parents as a 6-year-old boy to the United States where his parents found work as blue collar workers in the auto industry in Detroit, Michigan. Younis' start-up TalkBin was offered a $7 million seed round by Y Combinator. However, it was acquired by Google in 2011 even before signing the seed-round term sheet. 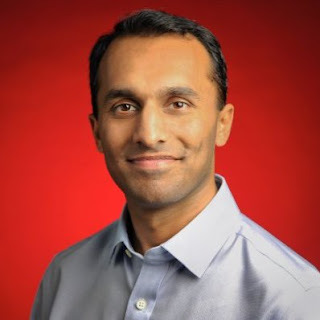 Younis joined the Google Maps team where he worked to bring local businesses onboard them. He stayed there for three and a half years. Y Combinator is set to graduate 222 startups, including Pakistani start-up Markhor, this year. There are currently 7000 startups vying for 106 spots in the program, according to ProPakistani.pk. Markhor, co-founded by Waqas Ali and Sidra Qasim is the first Pakistani company based in Pakistan to be accepted into Y Combinator as a part of the Summer 2015 class, according to Tech Crunch. Markhor launched a Kickstarter campaign that brought in over $107,000 in seed money from 508 backers in two months. I was just checking out this Markhor website and their shoes are about $235 USD. Damn that's steep for a new company. Junoon: "I was just checking out this Markhor website and their shoes are about $235 USD. Damn that's steep for a new company. http://themarkhor.com/collections/mens-shoes-1"
At $235 a pair, it's a bargain for hand-crafted high-quality shoes for western customers. (Y-Combinator supported Gradbury) Founder Iba Masood is a tech nerd. From the time her family got their first computer when she was four, she has been fascinated with technology and the impact it could play on society. From tinkering with hardware to early online gaming, Masood soon found her community on the pages of TechCrunch and HackerNews. Masood is from Karachi, Pakistan and grew up in the UAE. While in college, she met Syed Ahmed, a self-taught developer with a similar enthusiasm for all things startup. After attending university, they decided they wanted to start a company. Masood’s parents, who are in the diesel industry, encouraged her to pursue a more traditional business, “a cupcake shop, for example.” Ahmed’s family had much of the same reaction. Despite this, Masood and Ahmed persevered. The pair saw an opportunity in the widening skills gap and began to develop courses teaching skills in high demand by local employers. Unlike other attempts at online education, whereby candidates take a course and only then can apply to a job, Gradberry switched the model on its head. Candidates could apply, but when they were deemed unqualified, Gradberry provided them with courses to improve. For nearly two years, Gradberry existed as a regional business. They were profitable but the sales cycle to bring on employers was slow and the market limited. To grow their business outside of the UAE, Masood and Ahmed knew they needed funding. But while there is a nascent tech scene in the region today, three years ago no accelerators or international funding existed. There was no appetite for investing in a startup building something innovative. And Masood explained how, on many occasions, investors were confused by their vision and told them to instead bring proven business models to the Middle East. When investors were interested, the terms were terrible. In November, three startups from Pakistan will be flying to Myanmar for they have been shortlisted to participate in Digital Winners Asia, a regional startup event that will host enthusiastic startup teams from Telenor’s accelerator programs across Asia. The two-day event will be held on November 1-2 in Yangon, Myanmar. The Telenor Group’s maiden regional startup event will include case preparation sessions, in which startup teams will prepare to compete for 100,000 Norwegian Kroner in initial expansion funds. The three Pakistani startups shortlisted to feature on the event cater to Energy, Education and Employment, the three key areas the country has long faced challenges in. EcoEnergy, a startup aiming to solve energy crisis in Pakistan, facilitates the spread of sustainable electricity, specifically to rural locations of the country. Where as Edjunction, a social network connecting parents with teachers, is a mobile communication platform to bridge the gap between parents, teachers, students and the schools. Fori Mazdoori, a Pakistani startup aiming to mobilize laborers across South Asia, enables blue-collar workers to register on an employment database to be searchable by employers. “Establishing Digital Winners in Asia is a natural move for Telenor since we experiences strong growth in the region, and we believe there is a great innovation and entrepreneurial spirit growing here,” said Gunnar Sellaeg, the SVP & Head of Product Innovation at Telenor Digital. “We are pleased to see how Pakistani youth is finding innovative solutions to their own longstanding problems through technology, and it’s a sheer reflection of how Telenor Pakistan’s efforts of digital inclusion in the country are materializing”. The nine teams attending Digital Winners Asia are from Bangladesh, Myanmar, Thailand and Malaysia. The teams consist of current and past participants of Telenor’s five startup incubation and acceleration programs across the region. Each company has been selected based on the company’s life-cycle and potential to break into to new markets, as well as grow alongside Telenor. Two representatives from each company will participate in Digital Winners Asia. This inaugural year’s participants represent a diversity of industries: marketing services, energy, artificial intelligence, tourism and education. The event has been designed so as to promote cross border and hence extend sharing of skills, knowledge and tools across markets. The proposed theme has been devised primarily in order to tackle digital business opportunities across markets. Telenor has been promoting individuals to pursue entrepreneurship a lot. Velocity, Telenor’s go-to-market accelerator for Pakistan, recently introduced its first cohort.